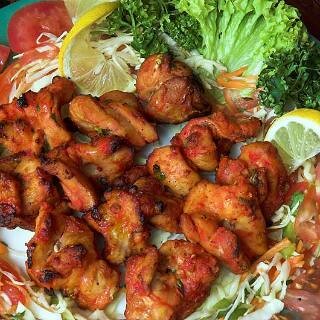 So this is Shashlik. For Hungarians, it is called 'Rablóhús'. Shashlik is a form of Shish kebab popular throughout the former Soviet Union and Mongolia. These skewers of meat are either all meat, all fat, or alternating pieces of meat and fat. Meat for Shashlik (as opposed to other forms of Shish kebab) are usually marinated overnight in a high-acidity marinade like vinegar, dry wine or sour fruit/vegetable juice with the addition of herbs and spices. Congratulations to Tomi and Imre who answered correctly to this quiz with their answers on Facebook. Err... A recipe "either all meat, all fat, or alternating pieces of meat and fat." Do you realise how unhealthy that sounds? Nobody just likes to eat fat - no matter how well it is prepared and cooked.